Today I´d like to show you one of my husband´s photographs - to be honest - I think he´s a much more creative photographer than I am... unfortunately he doesn´t photograph too much. 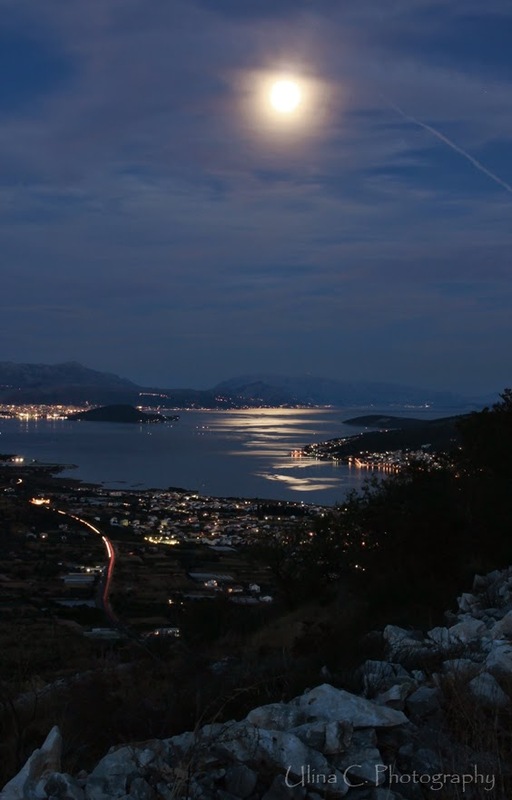 Last year in Croatia we decided to do some night photography before dinner... we started to shoot in the Blue Hour and continued until it was really dark night. 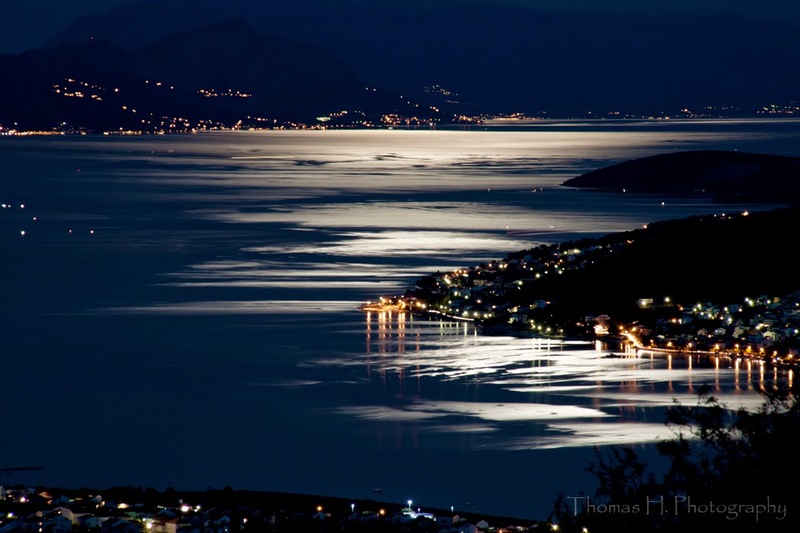 The Croatian Coast near Split was so very beautiful with all that hundreds of lights!